Here at Vale Vets you can have complete confidence that every aspect of your pet’s care and well-being will be catered for. We offer a full and compressive range of services. Our excellent facilities and staff will give you and your pet everything you will ever need. From your pets initial vaccinations (see our Kitten and Puppy care pages for a comprehensive guide to those all important first few days) all the way through to having access to world renowned referral centres. Please see all the links at the bottom of page for a more detailed description of how we will be able to support you and your pet. We have all the bases covered with our affordable in house pet care plans. The Pet Care Plan is a discount scheme which allows you to spread out the cost of all your pets preventative healthcare treatments whilst enjoying significant savings. For your complete piece of mind we offer our Pet Savers Club insurance which covers you for the unexpected costs of veterinary treatment should the need arise. We are excited to share with you the NEW Symptom Checker designed and run by vets. 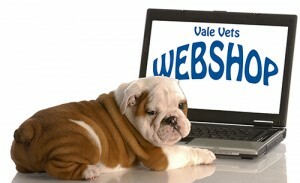 The Vale Vets symptom checker directs you to personalised first aid advice for your animal and clear guidelines about when to contact the vet and when you can treat symptoms at home. Why not dip into our Lifelearn section. There are thousands of helpful topics covering every possible condition or situation. It should really be able to tell you anything you need to know. If you want to enjoy savings (a typical 8-10% across the board) drop by our webshop. All your pets needs (and treats!) can be delivered to your home free of charge (orders over £50). Or for those smaller orders you can always click and collect from the surgery for free while still enjoying our on-line savings.